Hampshire Signs & Plastics are proud to be able to offer our customers a state of the art CNC machine that is able to serve both the signs, & the plastics division of the business.Our investment in the machine has allowed us to offer our clients even greater flexibility, with the ability to work with materials up to 2000mm x 1500mm in a variety of thicknesses. Complete with numerical control & CAD drawing system compliancy, the machine has the ability to cut complex designs, hundred of times, allowing us to manufacture hundreds if identical products. 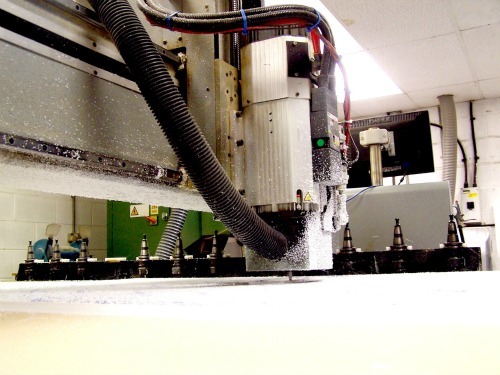 CNC routing will also allow for greater speed in manufacturing. Not only will the machine cut shapes faster than they could be cut manually, but the machine can be unmanned, allowing our skilled employees to continue with assembly of products already cut, reducing the lead time. 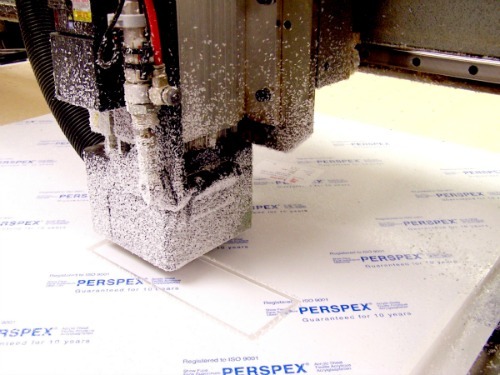 The speed & the high quality to which the CNC allows us to manufacture means that this technique is suitable for any scale of production, from one-offs through to large scale production runs.